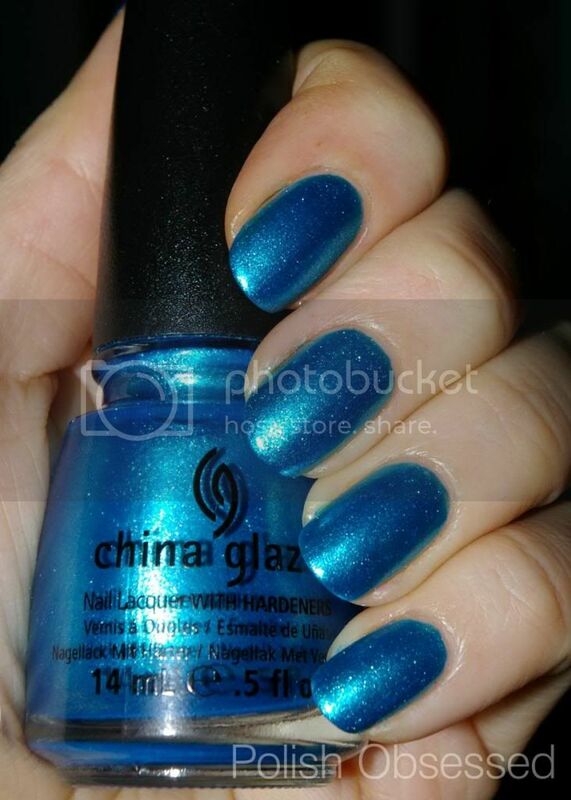 Today I have part two of my Nail Polish Canada review of the China Glaze holiday set, Dash of Dazzle. 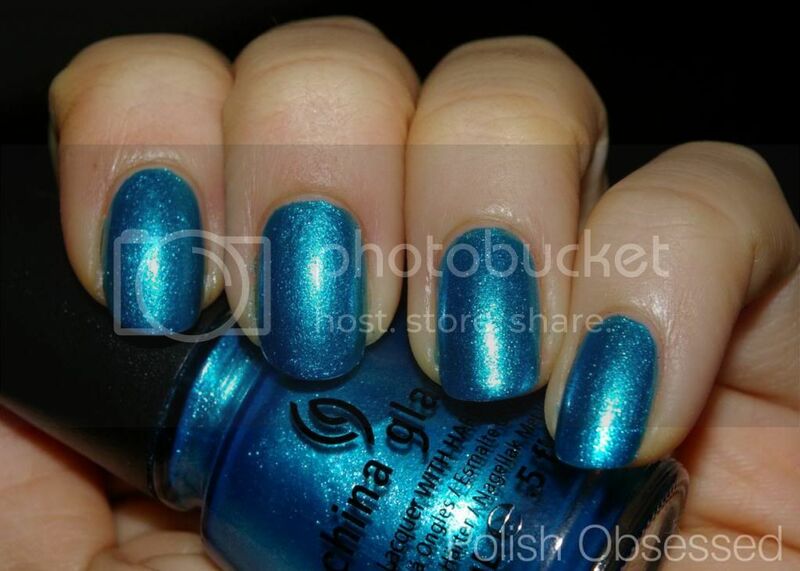 The polish I am wearing from this set today is So Blue Without You. 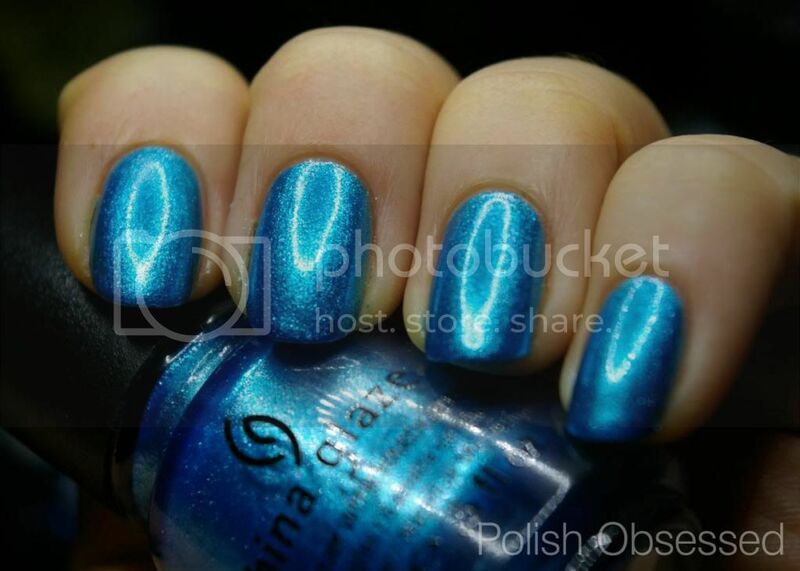 The shade of this polish is a bright medium blue with a foil finish. At first glance it reminded me of Orly's Sweet Peacock from their Birds of a Feather holiday collection released a few years back. When I did a quick comparison of the two in the bottle, Sweet Peacock appeared to be slightly deeper in colour and darkness. I also feel as if So Blue Without You has a teeny tiny bit of green in it. On the nail is just glows as you can see from the many photos in this post, I took several photos in different lighting. Application wise I had no issues with the formula, it was sooth and not too thick or thin. Two coats built up to opacity perfectly. The foil finish adds a lot of shine to the colour and gives the appearance of slightly blackened edges at the sides of the nail. I love this! In terms of wear time it lasted pretty well with regular daily tasks such as washing dishes, preparing food and showering. The only issue I had was on my thumb where I encountered a huge chip on the second day of wear, however, this is likely due to the polish I used as a base. You see i get crazy breaking on my thumb nails in the colder months and use a polish that helps to repair the nail, it is the worst as a basecoat though, this is the second time this has happened this month, only on the thumbs! Overall I really enjoyed wearing this shade, It's not only perfect for holiday gatherings and parties but the cold winter months ahead of us.